Marinated olives! Easy, quick, and tasty. Photo by Stacey Young. Once, many moons ago, I didn’t like olives. Yes, I know, hard to believe, right, especially seeing as I pretty much live for them now! I think my dislike stemmed in part from the fact that up until a few years ago, most olives available in the United States were mainly canned or jarred and not so high quality. Too salty, to briney, sometimes too mushy. Plus, it didn’t help that the only olives I’d ever really seen were in martini glasses (chic, but not an everyday drink–at least not for me 😉 ) or embedded in bologna (ick). A beautiful olive tree. 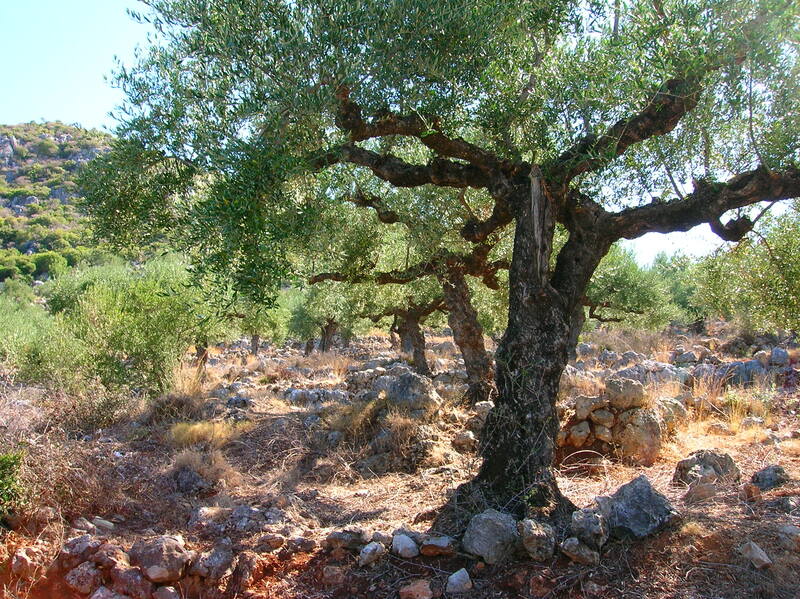 To me, olive trees look like a cross between a shrub and a tree. Either way, they're gorgeous. Photo courtesy of istockphoto.com. At a long-ago dinner party, though, all of that changed. My friend Amy brought some marinated olives to the gathering, and I decided to take a chance and try them. Boy am I glad I did. They were so fresh, and the herbs (rosemary and parsley, I think) and that extra dousing of olive oil really made their flavors sing. Look at their silvery leaves! I think those leaves are so beautiful, not to mention the olives themselves. During my trips to Syria and Spain, I fell a bit deeper in love with the humble yet mighty olive. Their trees are almost more like a cross between a shrub and a tree. They look so non-descript at first, with their cute little silvery leaves. Yet they’re so powerful. One might even say mythical. 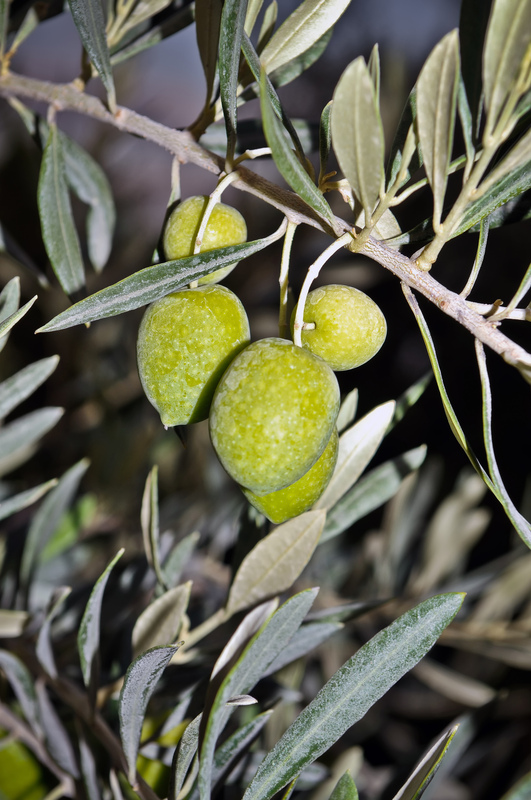 The amazing olive (and its branch) has played a role in history since ancient times. Even the Koran namechecks the olive, mentioning it six times. Today’s recipe couldn’t be simpler. Pick the most gorgeous olives you can find. Drizzle them with the highest quality olive oil you have on hand. Bits of garlic and herbs add color and punch. 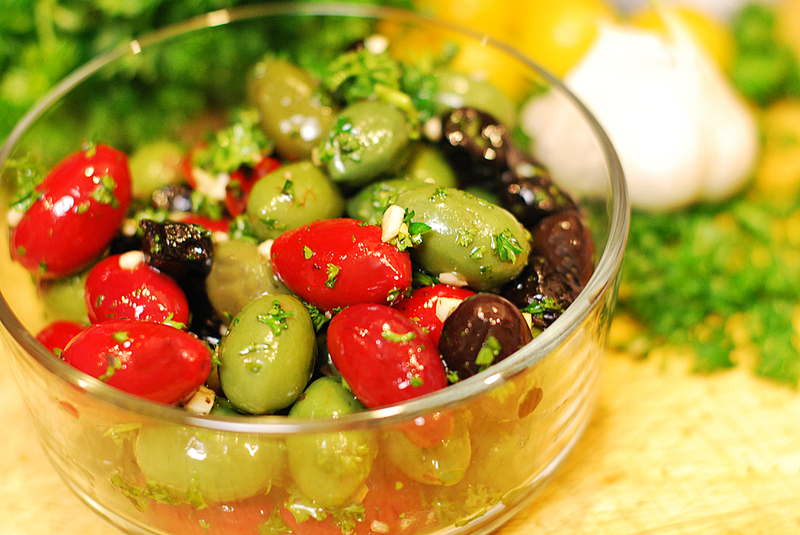 These marinated olives make a great dinner party appetizer! Remember to put them in the fridge if you don’t gobble them in one sitting. 1. Toss olives gently in a few glugs of the olive oil. Add in herbs and garlic, and toss again.